Posts Shock Totem Has A New Blog. And It's Awesome. 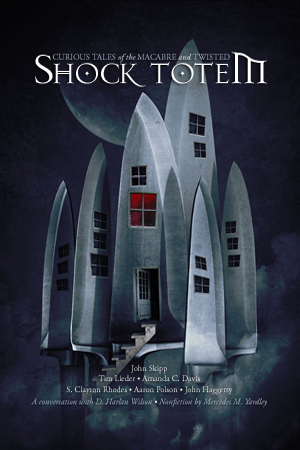 Shock Totem Has A New Blog. And It’s Awesome. Seriously, I love this cover so much that I want it for wall art in my home. Would my sweet husband agree? Probably not so much. Perhaps I’ll hang it over my writing desk. How many of you play on forums? Have you found that it helped you or hindered you in your career goals? Would you mind sharing why or why not? I historically haven’t played on forums. But ST’s flash fiction forum’s been rather fun. I do so love talking smack. I believe I’m quite good at it, too.